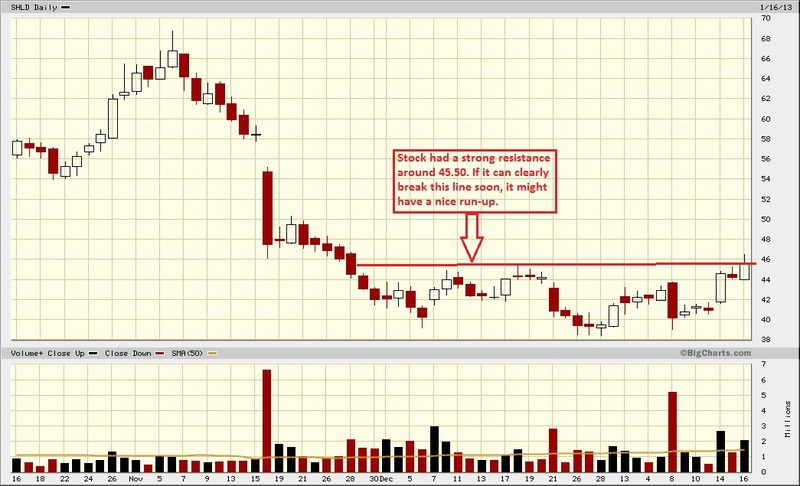 TRADER 9: Trade of the day, SHLD!!! Usually my trade of the day is some type of bounce play I profited on, but I want to change it up a little on this post, and show you a nice breakout I caught with SHLD today. 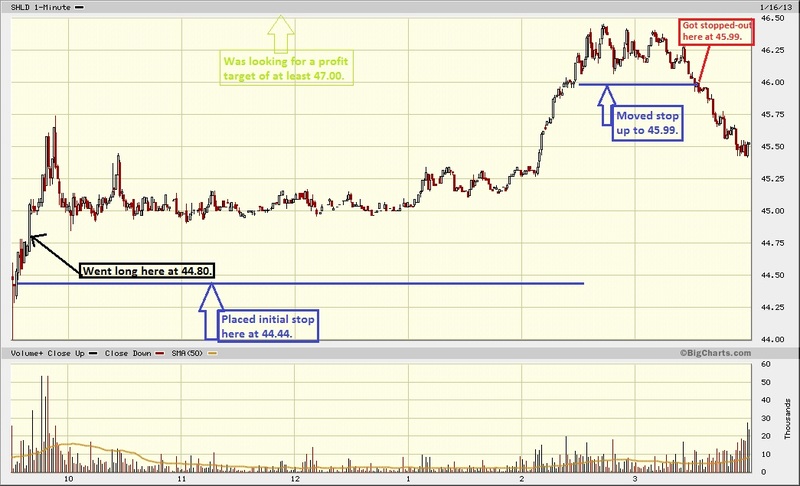 Looking on the daily chart, you could see SHLD was just itching to breakout today, so went long 400 shares at an average entry of 44.80. 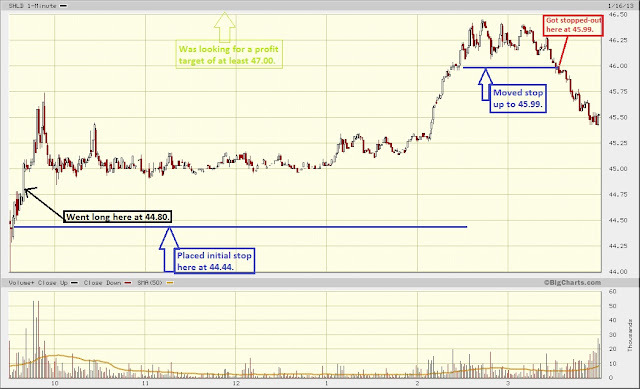 I was looking for a profit target of at least 47.00. When SHLD starting to get a little toppy at the end of the day, I just decided to move up my initial stop from 44.44 to 45.99 which ended up getting hit after I moved it. Despite holding on to this stock almost the whole day trying to catch this breakout, I still manage to gain 1.19 points on the trade. SHLD should close the gap created on Nov 16th, so I expect the stock to trade up to $55.00 before I exist my position. Yep, I don't really hold stocks overnight, so I'll probably be day trading this for awhile until it reaches to that gap (around $55.00).